Now everyone can benefit from the practicality and style of porcelain, ceramic or natural stone tiles coupled with the luxury of underfloor heating. This can be achieved in any room of the house thanks to Warmup and Sunstone’s Underfloor Heating. Warmup and Sunstone Underfloor Heating can be installed in hours without the need for specialist tools or skills. Underfloor heating helps to dry wet floors more quickly, making cleaning a lot easier and with even heat distribution you can benefit from ultimate comfort in your home so you can enjoy your new floor tiles to the fullest. Plus with a 35% discount on all Warmup products and 35% on all Sunstone products – Now is the time to buy….. before the prices go back up. To make up the heated area required, simply add mats together. The mats can vary is size. Practical, stylish and highly effective, underfloor heating (UFH) is becoming an increasingly popular option for homeowners all over the UK. But with so many options to choose from and so much information to consider, it can be hard to know exactly where to start. At Atlas Ceramics, we provide a wide variety of underfloor heating solutions from the best manufacturers in the business. Here’s what you should know about underfloor heating to ensure your home stays warm and comfortable all year round. As the name suggests, underfloor heating is simply a way of heating your home by installing the heating underneath the floor rather than using radiators attached to the walls. It can be installed in most existing floors in your home. When it is operating, the heat rises slowly and evenly from the floor to provide a consistent and comfortable temperature throughout the room. 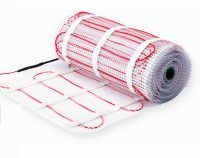 There are two main types of underfloor heating systems that you can install in your home: electric systems and water systems. Electric underfloor heating systems, or dry systems, use electricity to provide heat. Warm water underfloor heating systems, or wet systems, use pipes in which warm water is used to provide the heating. While there are pros and cons of each, at Atlas Ceramics we specialise in electric systems because they provide more benefits for most homeowners. The water heating systems use pipes laid underneath the floor, and they are connected to the regular heating system used for the radiators. These systems are a more traditional form of underfloor heating, and they require the floor structure to be changed in order to install them. This can lead to a considerable amount of work and expense. Electric underfloor heating systems, on the other hand, are installed under the floor covering. 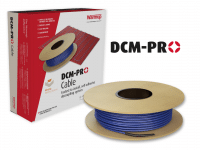 They usually consist of very thin matting systems about 3mm thick, so they are unnoticeable, and the cables connect the matting to an electrical circuit. 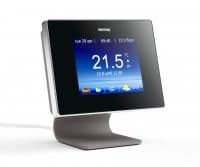 They are independent systems so you can operate them separately from your central heating system, allowing you to heat up an individual room with ease using a thermostat. One of the benefits of electrical systems is that you can use them with a wide variety of flooring options. We provide our customers with ceramic, porcelain and natural stone tiles, all of which are especially effective for their excellent heat distribution. But electric underfloor heating also works with most floor types including wood and carpet, making it an excellent option if you don’t want to change the look and feel of the room. Why Choose Under Tile Heating? At Atlas Ceramics, we provide underfloor heating systems from Sunstone and Warmup, which are two of the most trusted names in the business. SunStone is a great option if you are looking for a low-cost and high-performance system. It is ideal for stone and ceramic tiles especially, and it can be used as both primary and secondary heating, especially in bathrooms, kitchens and conservatories. It also comes with a 10-year warranty. 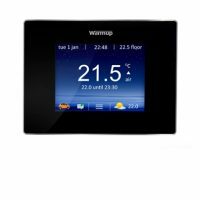 Warmup is a best-selling brand for underfloor heating that provides comfort throughout the room. 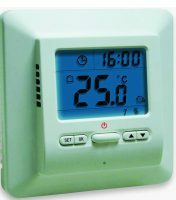 It heats up in minutes without overheating, and it does not lead to energy wastage. It also comes with a lifetime warranty. 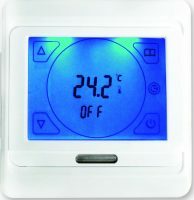 Where Does Underfloor Heating Work Best? Underfloor heating can be used in any room in the house (in the case of electric systems), so it depends on where you want to use it. However, it can be particularly effective in open-plan rooms and larger rooms with high ceilings. The heat radiates up from the floor, providing an even and efficient distribution of warmth that is especially effective in larger rooms. 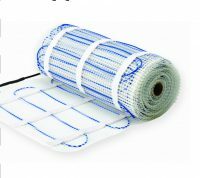 While you can install an underfloor heating system yourself if you have the DIY skills, most people tend to hire a contractor to install their systems. A good electrician or tiler can install the system quickly and professionally, saving you time and making sure everything is in good working order. Even if you install your system yourself, you will probably need to hire an electrician to connect your system to the mains supply. Having an installer could save you a great deal of trouble at the end of the day. An electric system is usually placed above a layer of insulation to reduce downwards heat loss. 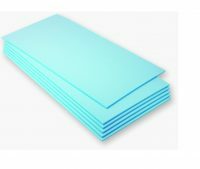 This usually consists of foam or polystyrene insulation. Depending on your system, you might use heating mats or loose-fit wiring kits. 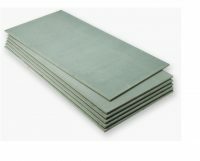 Heating mats are best for large areas while loose-fit wiring is good for smaller spaces. 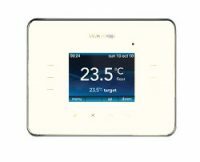 You can easily control your electric underfloor heating using a thermostat. However, because it usually takes longer to heat up than a radiator, it’s usually best to set your heating to come on an hour or two before you need to use the room to ensure a comfortable temperature when you enter. Underfloor heating is more affordable than ever. 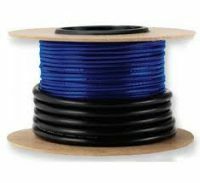 Our online shop features prices, the cost, expert advice for each company and official supplier that we stock. While the price varies depending on the manufacturer, type of system and size of the installation, you will usually pay less to install an electric system than a water system, but a water system will usually be cheaper to run. To find out exactly how much you can expect to pay for your system, call us today for more information on the quality products we stock and delivery options.